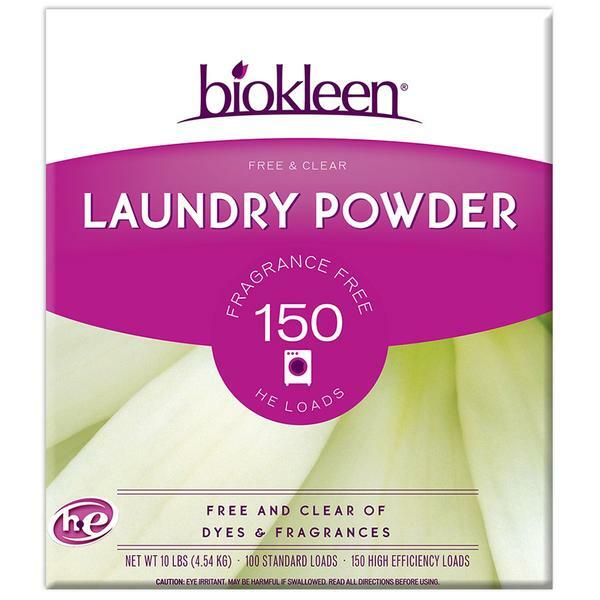 Allergen-Fighting Formula: Our Free & Clear Laundry Powder is fragrance free, and like all Biokleen products, is clear of dyes and brighteners. Effectively cleans tough stains and odors while brightening whites and colors. Rinses clean without leaving residue on clothes. THE PERFECT LAUNDRY SYSTEM Biokleen products have always been free of synthetic fragrances and clear of dyes or brighteners, making our products a safe and effective choice for those with chemical sensitivities and allergies. 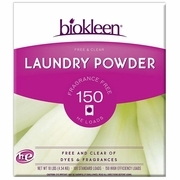 There are some people who cannot tolerate any fragrance, natural or not, making our Free & Clear Laundry Powder a perfect alternative and like all of our biokleen products, is super concentrated. This box will do 100 loads of laundry.